Siglo is the most emblematic brand of appellation Rioja. 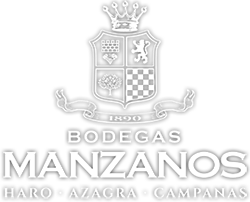 It is elaborated in Bodegas Manzanos, a winery with more than 127 years of winemaking tradition. 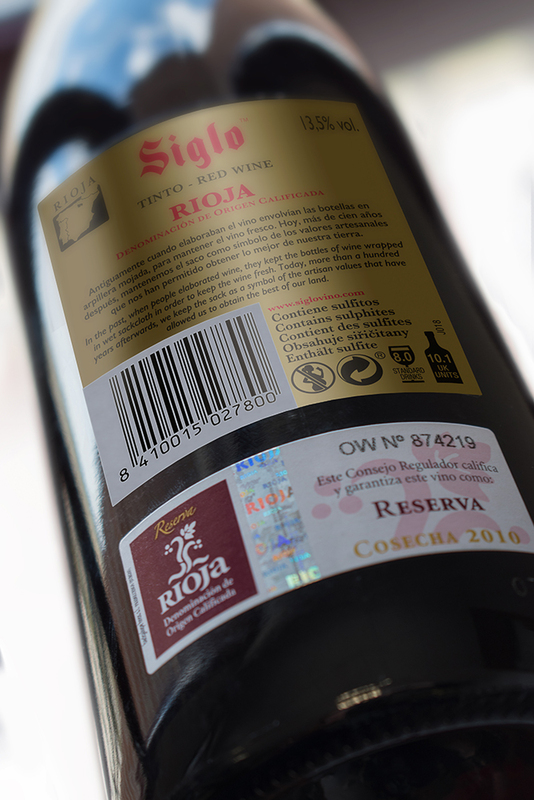 Siglo is a symbol of Rioja, is one of the few brands that still preserves the traditional burgundy bottle. In its range Siglo Sack, stands out as it is worldwide recognized because of the sack that wraps its bottle. The sack is handmade by ASPRODEMA, an association of adults with learning disability. Siglo is the most emblematic brand of appellation Rioja. It is elaborated in Bodegas Manzanos, a winery with more than 127 years of winemaking tradition. Siglo is a symbol of Rioja, is one of the few brands that still preserves the traditional burgundy bottle. In its range Siglo Tempranillo, stands out as it is worldwide recognized because of the sack that wraps its bottle. The sack is handmade by ASPRODEMA, an association of adults with learning disability. 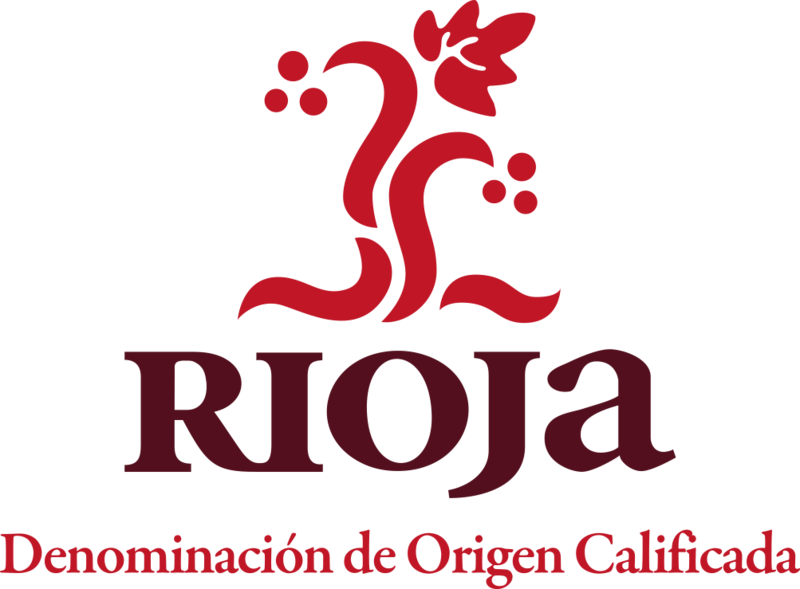 Rioja wines are protected by the oldest appellation in Spain. They were first officially recognized in 1925. Rioja is one of world’s most prestigious appellations as it offers more guarantees of the quality and authenticity of its wines and one of the very few that requires the bottling in the origin for all its production. The varieties of grape that can be used. The maximum production per hectare and type of grape. The ageing of the wines. The control of the compliance with the regulations is much stricter than in any other appellation, that is the reason of its surname “Qualified” about which only Rioja and one other can boast. The security and trust that this gives the consumers has been decisive in achieving the leadership of Rioja wines in Spain and the world. We talk about Siglo as a referent of Rioja and, therefore, our wine tries to reflect the rich diversity of terroir that the appellation owns. It is all about selecting the grapes of different origin, climate, altitude and soil to capture the most faithful representation of this region. One of the things that defines Bodegas Manzanos is the large area of vineyards that they own in different parts of Rioja. This is why they, more than anyone else, can elaborate “the Rioja wine”. The local terrain perfectly delimits the region and sets it apart from surrounding territories. Rioja is a privileged region for growing grapes and making top-quality wines, with a unique personality and an exceptional aptitude for ageing. The Rioja valley has a maximum width of about 40 kilometres, covered in vineyards which occupy successive terraces to an altitude of about 700 metres above sea level. The wine region has many different soils -chalky-clay, ferrous-clay and alluvial being the main ones- and microclimates -depending on vineyard orientation, protection against wind, etc.- that provide the wines with unique traits. The use of different grape varieties and growing practices, allows our winemakers to make a wide range of wines with a different personality, although always within the framework of a perfectly-recognizable common identity. Its origen dates back to 1927 in AGE, one of the historic wineries of appellation Rioja the oldest winery in Fuenmayor. At that time, the winery was referred to as “small warehouse”. Siglo brand pays tribute to the XVIII century where people used to carry the wine. Because of the general discomfort that was felt before Spanish Civil War, Felix Azpilicueta Martínez, founder and only owner of the winery at that time, decided to keep and hide a collection of bottles of an excellent harvest in Rioja: that of 1928. Spanish Civil War (1936-1939) meant a halt in the expansive plans of the winery. It was not until the war was finished that the emblem of the winery was born: Siglo Sack Crianza. Paolo Orsini, an italian close colaborator of the winery, came up with the idea of a yute sack, inspired in the Rioja tradition of workers of the land that used to wrap the wine in a wet tissue so it will keep fresh during the day. As if pieces of procelaine they were, the bottles started to be wrapped and sewed in this yute sack. The sack added an aesthetical value, paid tribute to tradition and also served to protect the wine from light and sudden changes of temperature. The launch of Siglo Sack Crianza meant an important milestone in the history of appellation Rioja. Nowadays Siglo continues this tradition inherited from winemaking families in collaboration with Asprodema, an NGO that promotes people with learning disability that handmade put the sack in the bottle. Its origen dates back to 1927 in AGE, one of the historic wineries of appellation Rioja the oldest winery in Fuenmayor. At that time, the winery was refered to as “small warehouse”. Siglo brand pays tribute to the XVIII century where people used to carry the wine. We are a company that is committed with society, with people and that is why we always play our part to contribute in different causes. The sack is the most characteristic thing about Siglo and maybe is one of the reasons why our brand has become such a undeniable referent in Rioja. We can all remember “the wine of the sack”. The sack was born out of the need of keeping the wine fresh. And with this principle we continue to elaborate the sack. Although our wine is elaborated in Rioja, it is transported to nearly a hundred countries around the world and we all want to be sure that the wine arrives as it was conceived, without being altered by any change of temperature during the journey and storage. The sack protects the wine from the changes of temperature and the light, it emulates the ageing process in the winery, where we maintain a constant temperature of 12 degrees Celsius throughout the year and a low light to make sure that the wine sleeps in the dark, as it is best for its perfect evolution. We want to look after the wine until it reaches the homes of our clients and the sack makes it possible for us to do so and that they enjoy the wine as if they were in the winery. The process of elaboration of the sack is long and tedious as we import the jute from its origen, India, and is transported in boats during days until we receive it. Once here we check the quality of the jute and we select the parts that we send to our seamstresses. They cut and hand sew the fabric that will wrap the bottle and leave a space so we can introduce the bottle. When the wine leaves the winery, once it has been bottled and has passed a minimum of six months in bottle, we send it to Asprodema so they can follow with the process of introducing the bottle into a sack and sew the rest of the fabric until it reaches the capsule. Afterwards, the wine comes to the winery so it can be labelled and we can send it to its destiny. The fact of choosing Asprodema to do this elaborate process of hand manufacturing the sack responds to our social commitment with the people. An example of this is working with Asprodema, a NGO that is an example of perseverance and self-improvement. It is choosing to do good and give an opportunity to people that would not have it easy and this is something that moves us. Very well-kown among wine lovers is Siglo Saco. It is the classic Rioja wine, the one that was born with the appellation and that still continues being one of its referents. We talk about a not very concentrate ruby colour, because this wine stands out more than for its intensity, for its longevity, also on the palate. Oak predominates and the flavours that it brings to the selected grapes of our vineyards of different parts of the appellation to live the long barrelling that characterizes Rioja. Velvet, long finish and transparency of the wine are what define a classic Rioja style. Here is the referent. AROMA This wine stands out for its red fruit, black fruit and licorice aromas. TASTE Fresh, round with a multitude of nuances that recall the black fruit. It has a long aftertaste. APPEARENCE Intense cherry red color with high robe and garnet rim. AROMA Medium-high intensity and stands out for its red and black fruit in perfect harmony with the spices, eucalyptus and elegant toasted from the oak barrel. TASTE Fresh, round, elegant with very ripe tannins. Long aftertaste reminiscent of the red and black fruit. APPEARENCE Deep intense rich garnet colour. AROMA Rich aromas of stewed fruits, dried prune, cinnamon, candied strawberries intermingled with toasty, smoky oak aromas. TASTE A fresh acidity with deep toasty oak flavours well integrated with ripe fruit. Easy drinking. VARIETIES Tempranillo – Garnacha – Graciano. Vineyards with more than 50 years. APPEARENCE Intense red colour with tawny hues. AROMA Intense, elegant with ripe fruit and undergrowth scents. You can find aromas of spices, cream and vanilla from the oak barrel ageing. TASTE Elegant, mellow, fresh, ripe, with velvety tannins. APPEARENCE Tawny color of medium intensity. AROMA It stands out for its red fruits, prune and licorice scents wrapped in pastry, black pepper and vanilla hints from the oak barrel. TASTE Round, with pleasant structure, balanced acidity and elegant tannins giving fruit in liqueur hints in the aftertaste. BARREL REGIME 4 and 6 years both French and American oak barrels. AGEING IN BOTTLE At least 4-6 years in bottle. APPEARENCE Tawny color with a medium robe ruby trims, clean and bright. AROMA Medium intensity with aromas of licorice, fruit passes, roasted coffee and cocoa. TASTE Good structure, balanced acidity, soft and round tannins with a long and complex aftertaste. BARREL REGIME 50% French 50% American oak barrels. The history of Manzanos Wines is the story of a family, their effort, their perseverance and their know-how.